As your business grows from one man band to established company, investing in customer relationship management services pays off in both time and money. Nurturing leads, automating outreach, personalizing sales… all these are standard CRM features. Keeping a history of customer interactions allows you to quickly identify future customers and respond quickly to complaints and feedback. Some software goes further, branching out into lead management and marketing automation. Our guides for this Category focus on value for money options for small businesses and what to do if you want more. With new CRM services coming out every day, it’s hard to find ones that really stand out from the pack. 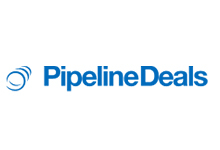 Pipeline Deals, Insightly, and Pipedriveall did well in our battles. Pipeline Deals has an increased range of features including document storage as well as lots of automation options. Insightly offers many more language options, and while its feature list is more stripped back, its low price makes it great value for money for a small business. 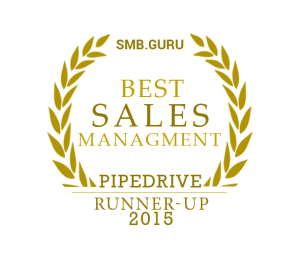 Pipedrivehas similar features to Pipeline Deals and language options like Insightly, but reviews show it is not well equipped to handle much business growth. Base offers fewer features than Pipeline Deals for the same price, poor value for money – especially while automation features and pipeline management, although it does have a call recording feature. Apptivo is a budget option which also misses out on automation, but has a strong advantage by allowing payments directly through the software. Our final option, Tracks, is a no frills package – unlimited users for $10/month for limited features. If your budget is too small for anything fancy, you will find it useful. Pipeline Deals brings the best of two worlds: sales engagement with customer relations management tools. We gave it the 1st place in the category, although we had some doubts — PipeDrive is great too..
PipeDrive guys are really grand! It’s visual interface is simple and effective and the integration list is really long! What we liked most with Insightly is the way it combines the ‘classic’ CRM features with Project Management functionality. Track won 0 of 5 comparisons. Subscribe to our mailing list now! See the Sales Management Software news and reviews first. Have a question about choosing the right Sales Management software or service? Ask our experts!